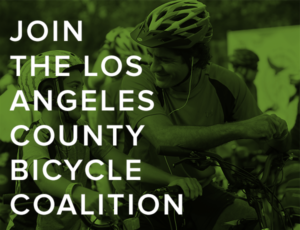 Just five days left in the 4th Annual BikinginLA Holiday Fund Drive! Besides, you can write off the full cost as an advertising expense on next year’s taxes. You can do a lot with bikeshare. Including using it as a moving van. Meanwhile, you can finally take bikeshare to see the Rams or Los Angeles Football Club, as Metro celebrates the opening of their new Expo Park/LAFC bikeshare station. The LACBC and Ride in Living Color are working to help a West Adams middle school win a Fund My Streets grant for safer streets. If you’re on Twitter, giving this video a retweet will help them in their quest. A reader says excuse his language after he nearly gets left-hooked in a Chicago bike lane. Although anyone who doesn’t swear in a situation like that has a lot more self-control than I do. Curbed has advice on the worst holiday travel times if , like Snake Plisskin, you’re planning to escape from Los Angeles this week. And you might not want to ride — or drive — on Thursday afternoon. The Bike League announced California’s new bronze-level Bicycle Friendly Cities; Chula Vista and Rancho Cucamonga were the only SoCal cities that made the list. 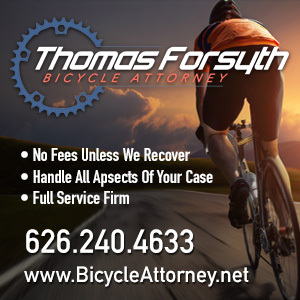 An alleged OC Dr. Feelgood — or Pheelgood in this case — was busted for illegally selling Oxycodone to his patients, including the Borderline killer and the driver who killed Costa Mesa Fire Captain Mike Kreza as he rode his bike in Mission Viejo. 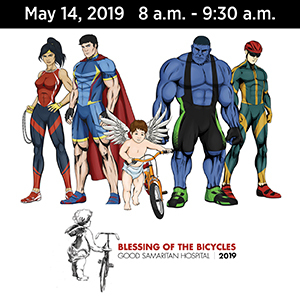 The Coast News Group offers more details on last weekend’s Ride for Roberta to call for safer streets and honor critically injured bike and pedestrian advocate Roberta Walker, who remains in a coma. Meet the relatively new Programs Director of Bike Bakersfield. And their cat. Specialized is making, um, specialized women’s seats designed to fit your own private parts. Bicycling lists the ten best sweat proof earbuds. Oregon’s $15 tax on new bikes may not be worth the effort, bringing in less than expected while overhead is rising. Active transportation advocates spell out how Chicago’s next mayor can have a more active agenda. Kalamazoo MI clarifies that drivers are required to stop for bicyclists and pedestrians in a crosswalk, whether or not it’s marked. But people on bikes and foot aren’t allowed to dart out into the street. After six pacemakers, 300 pounds and a diagnosis of congestive heart failure, a Massachusetts man saved his own life by getting back on his bicycle. This is who we share the roads with. After New York State’s Deputy Communications Director tracked down a Brooklyn state legislator parking in a bike lane — with the wrong license plates, no less — he responds on Twitter by telling her to kill herself, in exactly those words. Thanks to Frank Lehnerz for the link. Lime’s dockless bikeshare is a hit with New York women, as well as lower income and non-white riders. WaPo lists their favorite op-eds of the year, including the ever-popular Drivers, help us cyclists get home alive. Tis the season. Saying “We are blessed,” a North Carolina bike club donates 200 new bikes and helmets for underprivileged kids. Financial Times offers seven “essentials” commuters, none of which actually are. California’s Sea Otter Classic is expanding north of the border. Canada’s Louis Garneau is sponsoring an international Don’t Text and Drive Day this Saturday. Every day should be don’t text and drive day. And don’t get me started on driver selfies. A British man is riding over 1,000 miles across Vietnam to raise funds to help prolong the life of a friend suffering from terminal stage 3 breast cancer. Amsterdam is banning snorfietsen, which translates to low-powered mopeds, from some bike paths; officials estimate the ban will result in a 261 reduction in crashes. Apparently, I’m not the only one getting hit by e-scooter riders these days. A Kiwi bike rider was knocked cold and broke his hand in a crash with a scooter rider on a bike path; naturally, the scooter rider left the scene. And his bike didn’t fare too well, either. The BBC questions whether transgender women are really a threat to women’s sports, after Rachel McKinnon’s victory in the masters track championships. Zwift announces the winner of their latest virtual cycling training camp; Ella Harris will join the CANYON//SRAM Racing team for the 2019 season. Italian pro Filippo Pozzato calls it a day on his 19-year cycling career. Aussie BMX champ Caroline Buchanan is starting over all over again after crashing with another rider during a competition, just as she was getting back into form after suffering serious injuries the year before. Is it an ebike or a mobile cannon? If you don’t want to wait behind the guy waiting patiently to pass the guy on a bike, just drive on the wrong side of the road. And we all might want a white Christmas. But probably not the best idea to spend the holiday season cycling across Siberia in -58° temperatures. 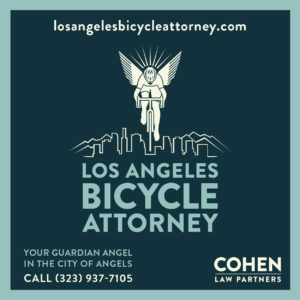 Thanks to Dan M and Sean M for their generous donations to the BikinginLA Holiday Fund Drive to keep this site coming to your favorite screen every morning!